All Adrift is a popular team building game and in addition to problem-solving skills, it also requires some imagination. Here is how it works: the participants are split into teams and while out sailing hypothetically, an accident happens and the boat capsizes. While it sinks, each team only have a few minutes to salvage some items—items that will help them survive the next hours at seas and get them safely to shore. Pen and paper will be given to the teams and as a group, they have to agree on items they plan to salvage, e.g. first-aid kit, a compass, snacks, rope, flashlight, blankets, knives etc. in order of importance to their survival. Afterwards, the teams will explain to the entire office how each item on their list will help get them to safety. Since all team members are required to contribute ideas, All Adrift shows participants the advantages that can be found in teamwork and cooperation. It also gives them an opportunity to see how uniquely their co-workers think and how differing perspectives may sometimes be beneficial. 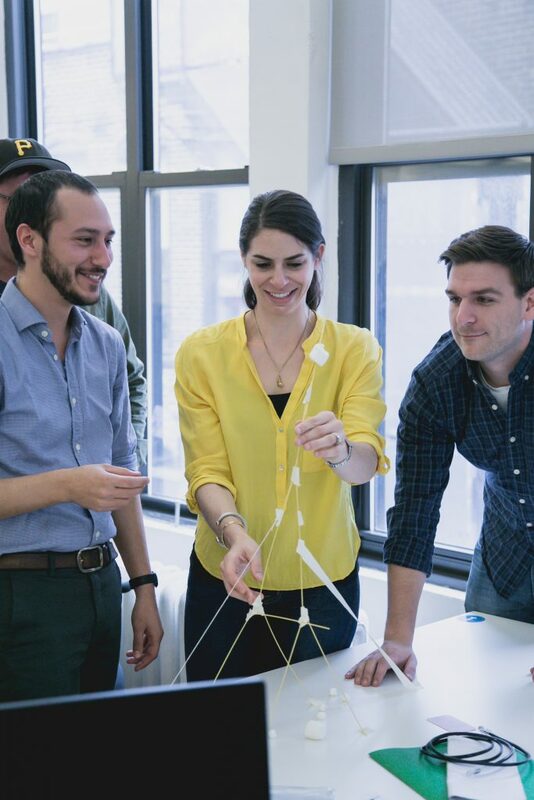 Catapult is a problem-solving activity that promises lots of fun and laughter, however, this doesn’t reduce how effective it is to team building. Participants are split into groups and each group is given some items and 30-45 minutes to construct an “office-made” catapult that can propel objects (e.g. eggs or golf balls) to distances of 8 foot or more. Items needed to complete this task includes bamboo canes, elastic material, string, rope, ruler, tracer cord etc. This exercise helps improve communication among team members and it doesn’t require much time to set up. All that’s needed are blindfolds and a length of rope. Participants are blindfolded and asked to sit forming a large circle. A length of rope is placed in the center of the circle (the rope is placed in a way that it also forms a circle). When this is done, the instructor asks the group for form say, a square, a triangle, or any other shape. Everybody sat in the circle have to communicate among themselves and form the shape(s). Since they are blindfolded, they have no choice but to trust that the other participants will listen and do the right thing. Co-workers sit around and brainstorm on how to solve problems commonly encountered in the office. Each person has to say the first dumb idea that comes to mind and a list of these ideas are made. Afterward, each idea is double-checked to see if it is as dumb as first assumed. This activity encourages thinking outside the box, it also highlights the danger in dismissing other people’s ideas without first considering its merits. Problem-solving is a highly effective team building exercise. The benefit of each activity listed above was stated and as can be seen, every one of them teaches co-workers how to relate, communicate, and cooperate with their colleagues. Inter-office cooperation is very important to productivity, as a result, all efforts must be made to ensure that co-workers are combining as efficiently as possible.